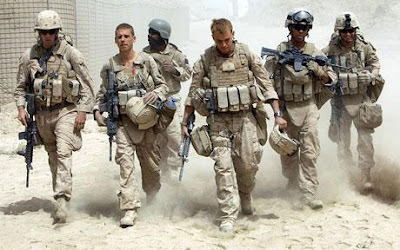 United States is fighting the longest war of its history right now In Afghanistan that started in 2001 and is still continuing in the 2013 two years later. Interestingly there is no outcome of this war. Trillions of dollars are spent so far in Afghan war and thousands of US Soldiers died. US President Barack Obama announced that US will Withdraw its forces from Afghanistan in the end of 2014. First of all will US completely withdraw its forces from Afghanistan or some forces will stay there? How the withdrawal will take place? Will Pakistan help US in this withdrawal? what will be situation in Afghanistan after the Withdrawal? Will we see another civil war in Afghanistan like we seen one after withdrawal of Russia in the 1980s? Will Taliban again take over Afghanistan or they are in weak position to do this? how the situation after withdrawal will impact Pakistan? Will Pakistani Taliban get stronger or weaker after US Withdrawal from Afghanistan? these are some of the questions that are in my mind related to US Withdrawal from Afghanistan. one thing is clear that next one year will be a really difficult year for Afghanistan and maybe even after that. not only Afghanistan is having security issues but its Government is also corrupt. Afghanistan needs a honest leadership which can lead it towards peace and progress.